[Solved] How to Uninstall Google Drive? I work heavily on my MacBook Pro. And with it, I have very important files. That’s why I back them up all the time. One thing I use for backup is Dropbox. Another is Google Drive. I back up files in multiple locations and sometimes I don’t know which file is which. That’s why I want to uninstall Google Drive so that I can possibly just have one backup. How do I do this? Backing up files, especially important documents, is a great way to make sure they don’t get lost. When you accidentally delete data, you can instantly get it from the backup. One place people back up their data is Google Drive. It’s a great way to back up files and save your documents all in one place. You can easily organize folders inside your Google Drive also. However, some might think that this app is a nuisance and might want to uninstall it. There are different ways of how to uninstall Google Drive. In this guide, we will teach you how to do it properly. Part I: The First Part To Removing Google Drive.Part II: Uninstalling Google Drive.Part III: Conclusion. Part I: The First Part To Removing Google Drive. First of all, you need to know that if you want to uninstall a specific app, you have to close all related processes that are open. If you don’t do this, you won’t be able to move it to Trash because the device will say that it’s still open. For Google Drive, it is a must for you to disconnect your account and close it afterward. Step 01 - Visit Google Drive. Step 02 - Visit Preferences located on the menu bar. Step 03 - Press Disconnect Account. When you disconnect your account, syncing will automatically stop. Later, you can simply sign out of your Google account. Step 04 - Visit Google Drive. Step 05 - Press Quit Backup and Sync. This is in order to close Google Drive (which usually runs in the background). You can also utilize Activity Monitor in order to close all processes related to Google Drive. The Activity Monitor is used to quit any process that you want to close or terminate. After you have terminated all processes related to Google Drive, you can start uninstallation now. You can simply drop Google Drive to Trash and then empty the Trash afterward. However, there’s a better way to do this. Because simply moving the app to Trashcan lead to app leftovers. Part II: Uninstalling Google Drive. We have two methods to uninstall Google Drive. The first method is the easy method and it requires you to use a tool. The second method is the difficult one, which is doing it manually. The first method requires you to use a recommended tool, iMyMac-PowerMyMac’s Mac Uninstaller. Download iMyMac-PowerMyMac from the official website of the tool. Launch the said program on your device. 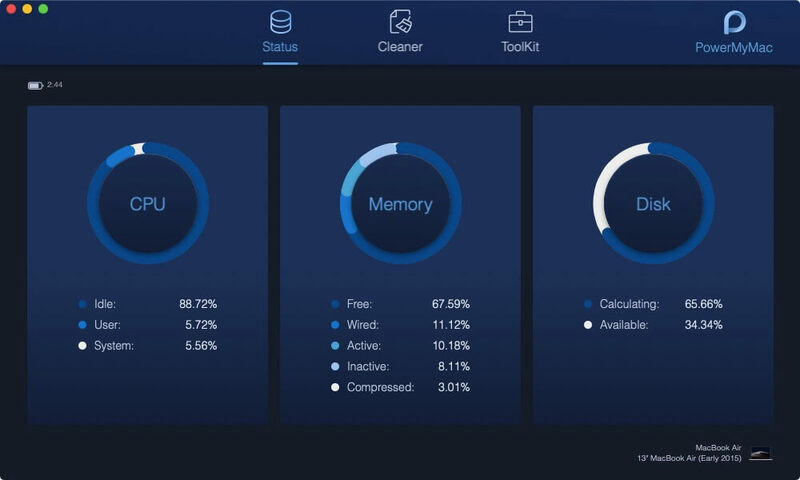 On the main interface, you will see the system status of your device. Go to the top side of the screen to choose "ToolKit" and click Mac Uninstaller. Press the "Clean" button and click "Confirm" to confirm the operation. Step 02 - On the sidebar, select Applications. Step 03 - Find the Google Drive Application. Step 04 - Right-click on this application and choose Move To Trash. If a pop-up appears, input your Mac device login password in order to confirm the operation. Step 01 - Open Launchpad. Step 02 - Search for Google Drive in the search box. Step 03 - Hold your mouse on the Google Drive until the icon begins to shake and displays X.Elective. You can also press down ALT until all apps displayed begin to wriggle. Step 04 - Now, you have to launch Finder. Step 05 - Select Empty Trash. Take note that when you do this operation, you will delete all files located within the Trash. Ensure that there are no important files within the Trash before actually emptying it. Now, after you have manually deleted Google Drive, you have to remove all files associated. These are called app leftovers and is usually apparent in Mac devices. Step 01 - Open Finder. Step 02 - Press the following keys together, Shift + Command + G.
Step 04 - Go to the search bar and put in Google Drive in it. Step 05 - Below the bar, you will see, press Library. Step 06 - The files that will be matched should be moved to the Trash by right clicking on these files. Step 07 - Repeat the steps above and check out if some leftovers are still there in the Library folder. Step 08 - Empty trash again to ensure that the associated files are removed. Note: It is important to remember that you have to delete the app leftovers of Google Drive only. If you delete files associated with other apps or the device itself, you can mess it up. That’s why it’s best to use a tool instead. In that way, you won’t mess up your entire device. Backing up files on your Google Drive can be good. However, sometimes, it can be a nuisance. That’s why you would have to uninstall Google Drive on your application. You can do this in two ways. The first way is the manual and difficult way. If you are not a pro-Mac user, you might mess this up. The second way is through a tool called iMyMac-PowerMyMac’s Mac Uninstaller. 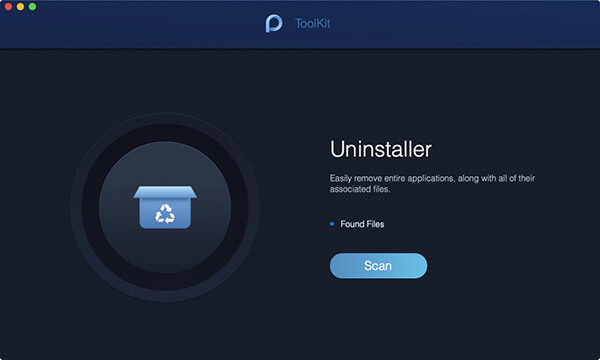 It’s a great tool to uninstall applications and its related leftovers on your Mac device. / Mac Uninstaller / How to Uninstall Google Drive?